Our partner eMinutes is at it again! Recently, eMinutes announced that they are waiving another $725,000 in legal fees for entrepreneurs. They will now be incorporating 725 first-time entrepreneurs in California, New York, Texas and the District of Columbia for free. 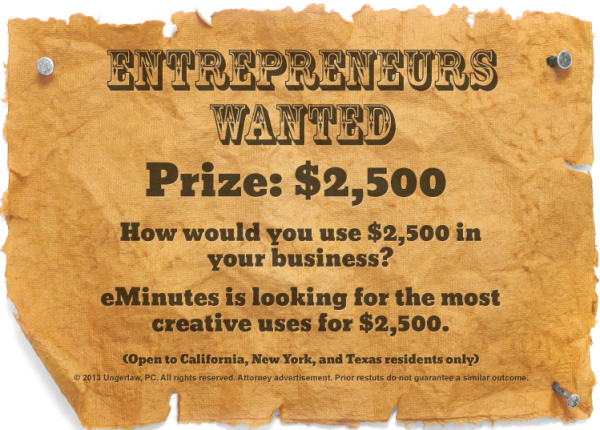 Now, eMinutes wants to giveaway $2,500 to one lucky entrepreneur! All you need to do is show how creative you can be with the $2,500. 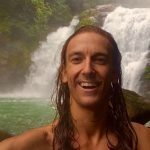 The money must be used to help push your business forward and you should have a clear plan as to how the $2,500 will be used. Five finalists will be chosen on July 1st and then the community will vote on who deserves the money the most.